Add some lavish style to your storage options with the dormer shed. 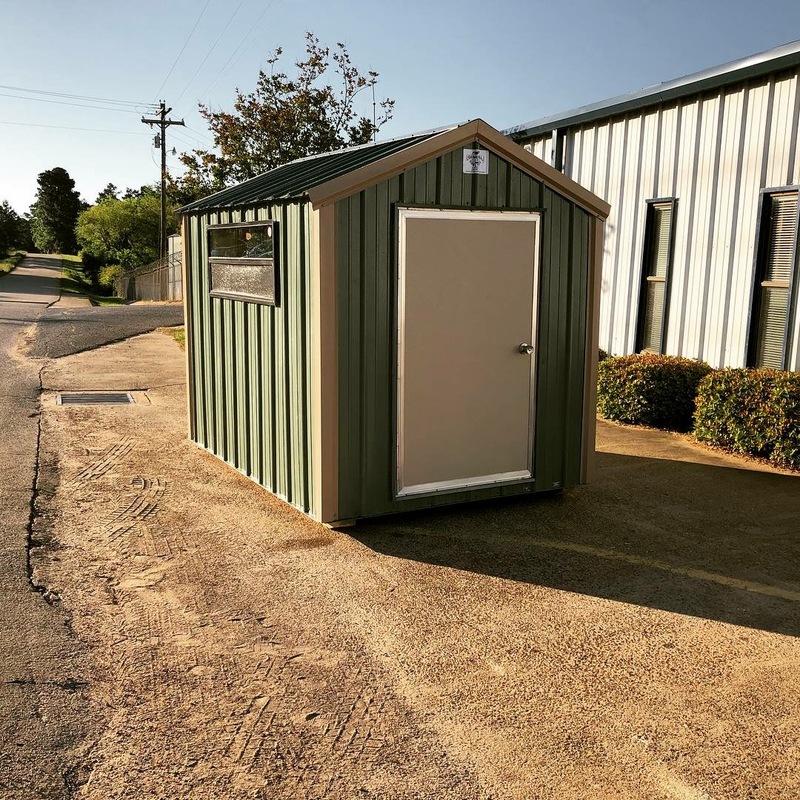 Available in two sizes, it offers you the same options as most of our other storage buildings with a classier look. 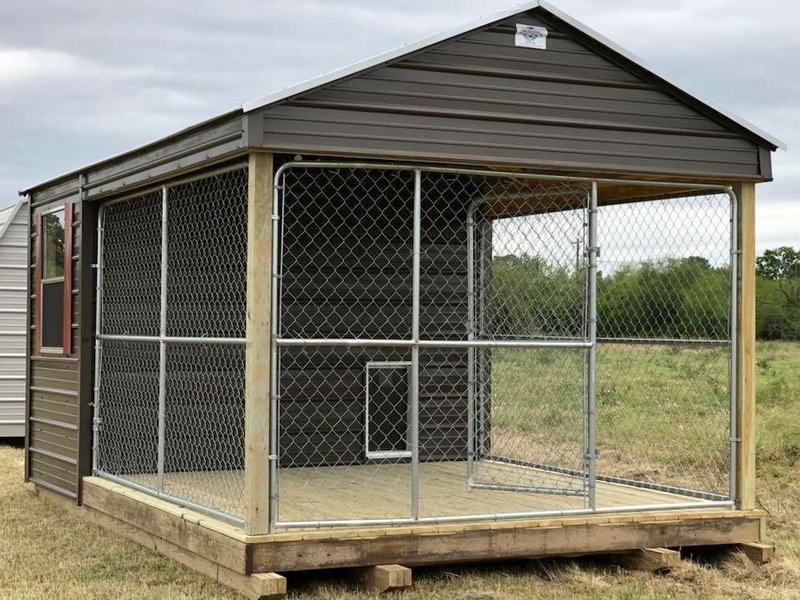 Keep your pooches cool in the summer and warm in the winter with one of our awesome dog kennels. Available with a/c and heat, we can keep your four legged friends comfortable year round. We also offer an optional metal apron to assist in the cleaning process on the floor. 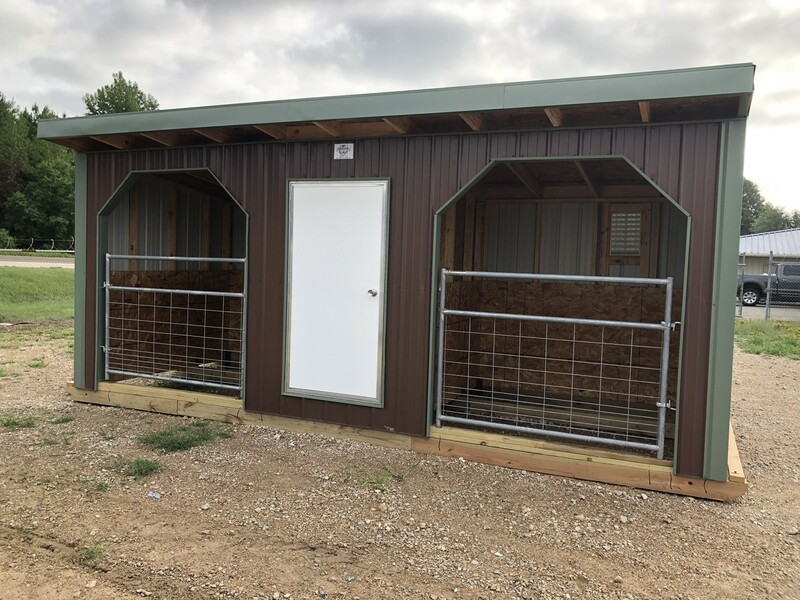 Our loafing shed provides protection and comfort for your animals and livestock all through the year. It has an available tact room for storage or feeding your animals. It also comes with a 2′ overhang. Place this awesome barn next to the lake or in the backyard and enjoy the outdoor life. It has a huge covered deck with treated floor and benches to entertain your guests. When the bugs come out just go inside the screened in portion and keep the party going. 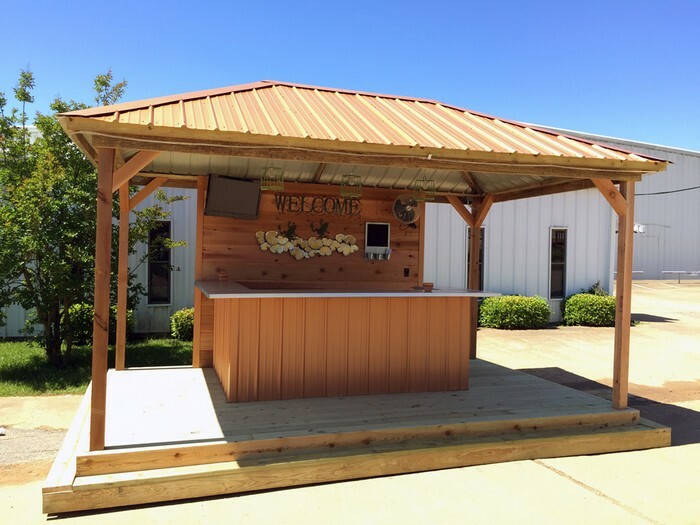 Head to the deer lease and hunt Texas style with one of our sweet deer blinds. 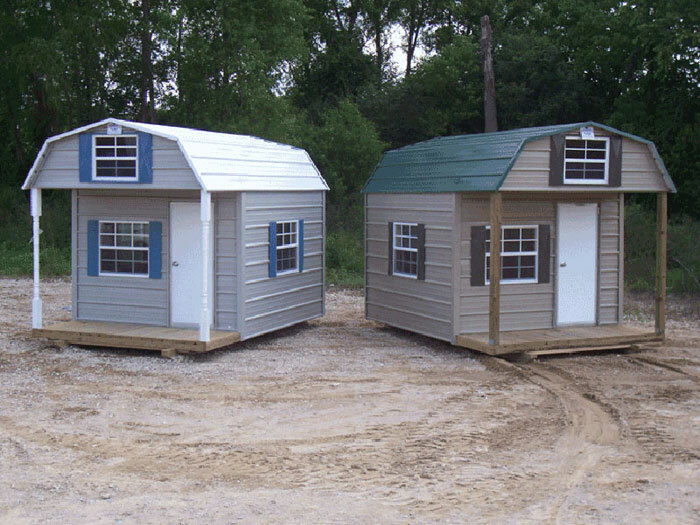 They are available in 2 sizes and come with plenty of windows for easy viewing. 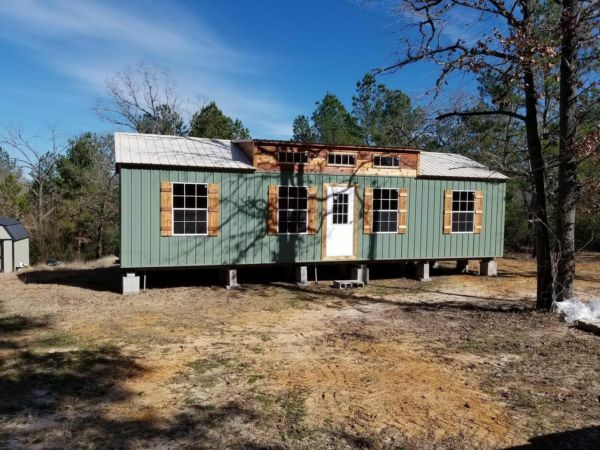 Our blinds have carpet on the floor and window seals as well as insulation in the walls and ceiling to offer quiet, comfortable hunting for the whole family. The great little spot in the shade. This Gazebo is perfect for the backyard BBQ as well as out by the pond. 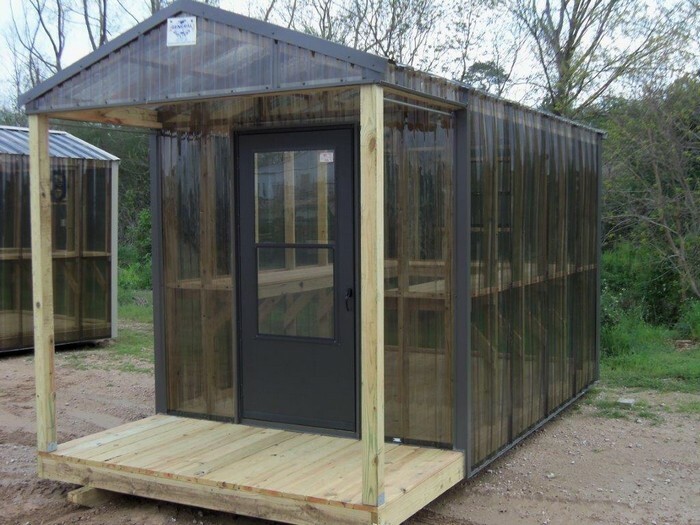 Enjoy greenhouse gardening all year long with one of our sturdy greenhouses. Plant your spring gardens with seedlings you prepared in your very own greenhouse. Our greenhouses come in a variety of sizes and are wrapped in smoky polycarbonate panels that are warranted for a full 10 years. All of the wood is treated to last you for many years. Introducing the Clubhouse for boys and the Playhouse for girls. 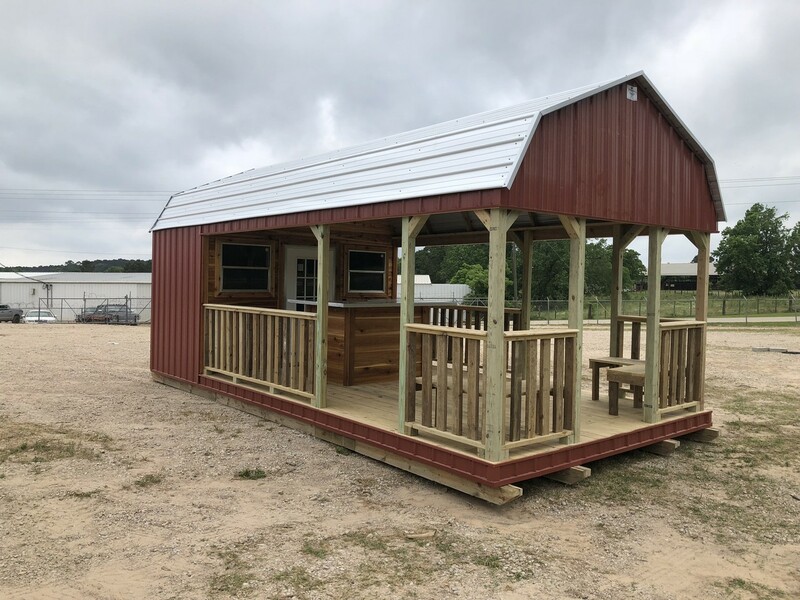 This affordable portable building, built in a barn-style cottage, will be enjoyed by your kids or grandchildren for years to come. They will absolutely love having a space to call their own. You’ll love its safe, durable construction and attractive appearance, which is an asset to your backyard. It even comes with a full “adult” size back door, it’s a great place for imaginary play, and the adults fit in it too! When your kids outgrow this, it makes an excellent storage building too. No Assembly Required. Copyright © General Shelters of Texas, Ltd. Photos displayed on this website may contain optional items that are not included in the standard configuration for that building.